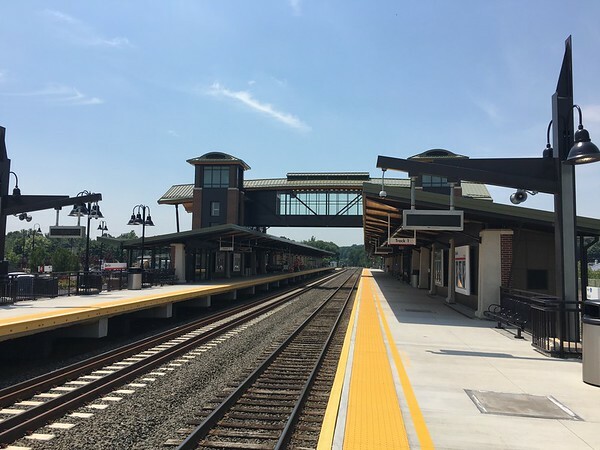 BERLIN - The Connecticut Department of Transportation will end its free parking promotion at CTrail Hartford Line commuter rail stations, including Berlin, 51 Depot Road, on Tuesday. The paid-parking rate is $2 a day or $20 a month by applying via ctrides.com/parking, according to a release from the CTDOT. Paid parking will be enforced Monday through Friday for both Hartford Line rail passengers and the public. Parking will remain free on weekends and federal holidays. The stations are open 24 hours a day, seven days a week. Train riders can pay before boa rind the train at parking kiosks or Hartford Line ticket vending machines. Passengers must provide their parking space number prior to remitting payment. Cash, debit and credit cards (Visa, Mastercard or Discover) are accepted. There are 235 parking spaces available at the Berlin railroad station. Posted in New Britain Herald, Berlin on Sunday, 2 September 2018 20:38. Updated: Sunday, 2 September 2018 20:41.